Drive In and Carry Out. In a Hurry? 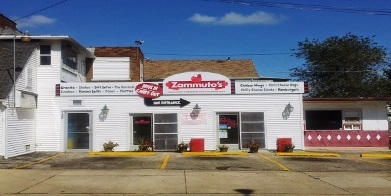 Monday through Saturday 1:00 p.m. - 6:00 p.m.
Zammuto's Granita is a very refreshing ice dessert made the old fashion Italain way. It is great to beat the summer heat. Not only is it an art for the us who produce it, but it is also a not to be missed ritual for the ones who experience it. Sweet Ambrosia caters for any event so please feel free to discuss your desires. Delicious food and flawless service is the hallmark of our catering business. We uses only the freshest and highest quality ingredients. Also ask about our cake business Sweet Ambrosia, where the most stunning cakes are hand made. You will not be disappointed.